A cute birthday party thank you message to share with your friends. 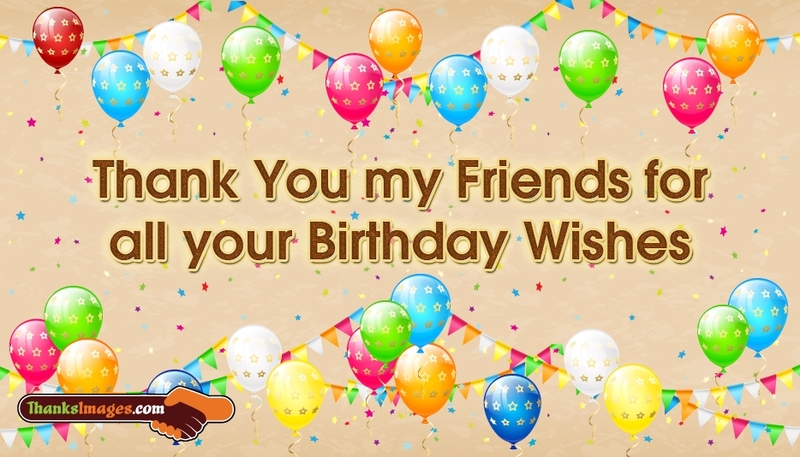 Share this party image with balloon decoration to say thanks to all your friends with a note "Thank You My Friends For All Your Birthday Wishes". You could also post this image on your Facebook wall, Twitter page and Whatsapp to bid your thanks to all your beloved friends.